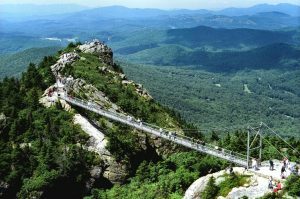 Grandfather Mountain is the highest peak in the Blue Ridge and a nature preserve of global importance. 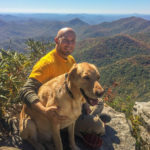 Inspiring scenery helps you leave city life behind when you cross the famous Mile High Swinging Bridge, photograph black bears, river otters, cougars and bald eagles up close in natural habitats, and hike some of the South’s finest trails. Special activities and events for families and children are scheduled throughout the year. Bring a picnic or enjoy our restaurant. Come visit us for the greatest Highland Games in the U.S. One mile from Blue Ridge Parkway, only 70 miles from Asheville. Open all year.